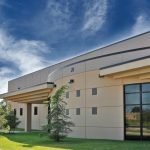 Business and industry representatives and program graduates both give high marks for the quality of training available at Meridian Technology Center according to recent survey results. Both groups were recently invited to provide feedback regarding their interaction with the school. The responses are used to shape program and course offerings, according to DeAnna Little, Director of Instruction for the trade and industry programs at Meridian. Meridian’s mission is to educate, enrich lives and secure economic futures. Hearing from our customers is one way the school measures the district’s return on their investment in the school, Little explained. As a partner in the region’s economic development, Meridian offers training in 23 program areas, customized business and industry courses, entrepreneurial support, short courses for personal and professional development and high school equivalency exam preparation. “The feedback we received from these two surveys, as well as others that we conduct throughout the year, are instrumental in determining the training we offer, services we provide and the technology we have in our programs,” Little added. 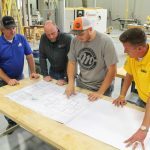 Courses offered at Meridian are shaped with input from local employees and business owners working in related industries through a Business and Education Councils program. Council members dedicate their time and expertise to provide instructors with insight regarding trends they find in the workplace. This information helps instructors tailor program curriculum to ensure graduates have the technical skills they need to be successful in the workplace. Nearly 120 council members representing nearly all of the school’s programs provided input on program curriculum, equipment and the quality of training students receive. Results of a recent survey indicate that a majority of council members rate Meridian excellent or above average in all categories, with results ranging from 95.7 to 99 percent. Recent program graduates echo the sentiments of Council members. In a survey administered after graduation, students reported high satisfaction rates and provided positive feedback regarding their time at Tech. More than 98 percent of respondents said they thought that Meridian was the best avenue available to prepare them for college and career readiness. Recent graduates also reported that they felt their instructors engaged them in the learning process, with more 91 percent of them reporting that they participated in work-based learning activities such as clinical rotations, on-the-job training, job shadowing and live work projects. 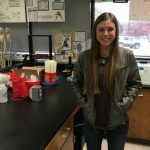 Nearly 99 percent of students said their experience at Meridian had been positive and 98 percent said they would recommend this program to other students. Follow-up reports six months after students graduate indicate that 90 percent of Meridian students pursue additional education or enter the workforce. Each year students completing career and technology training programs across the state add $3.5 billion to Oklahoma’s economy.